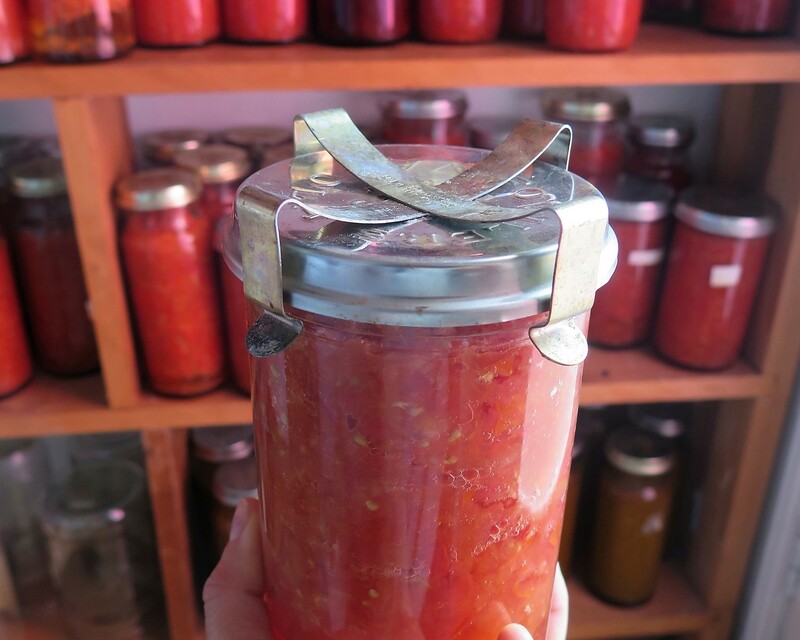 There are *many* variations on how to preserve tomatoes, this is how we do it using the fowler vacola system. If you have a better way, we’re very happy to hear about it :-). 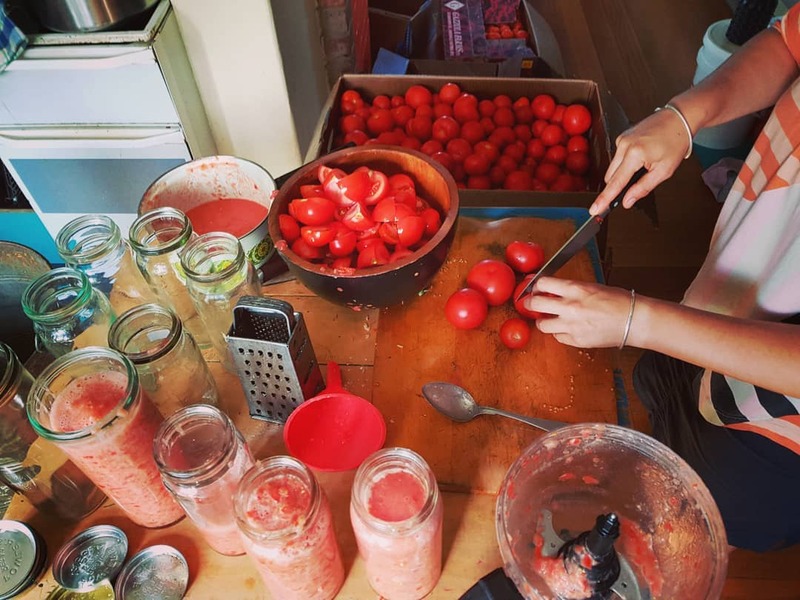 We don’t have enough space to grow all the tomatoes we would like to preserve in our garden as we prioritise growing a diverse range of crops, meaning the tomatoes we do grow are for eating fresh only. So when Autumn comes around we buy a big stash of tomoatoes from a local grower (it’s different every year). 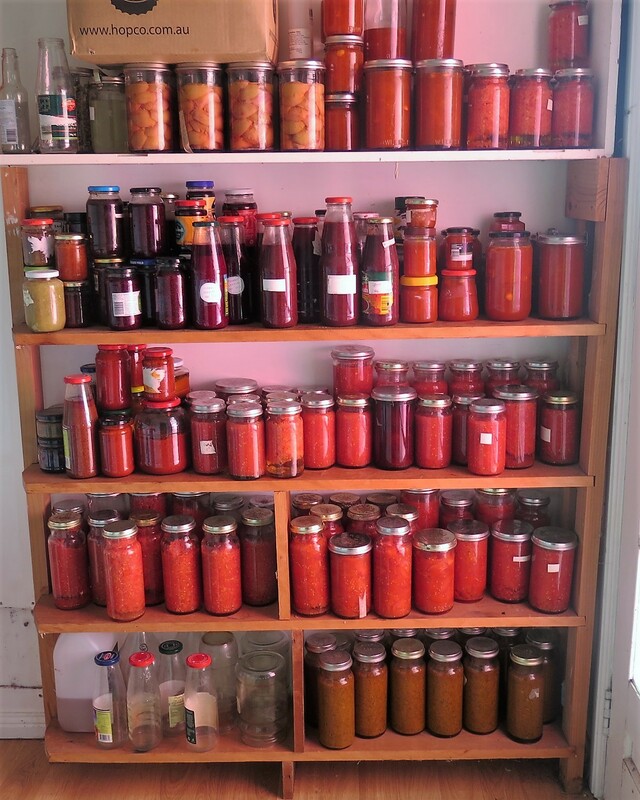 This year, I got a little carried away and bought 60kgs worth – cause being able to crack open a jar of tomatoes in the middle of winter or spring is one of the better things in life. I have my priorities right. First step in the whole process is get a mate (or mates) over and start chopping – it’s a great way to catch up with dear friends. The second step involved us realising/remembering we could just use the fancy food processer my sister recently passed on to me. While a bit noisy, this was infinitely quicker – we loved it. Because our tomatoes were a bit on the funky side, we chose to put them in a large pot and bring them to the boil to get rid of any unwanted bacteria. 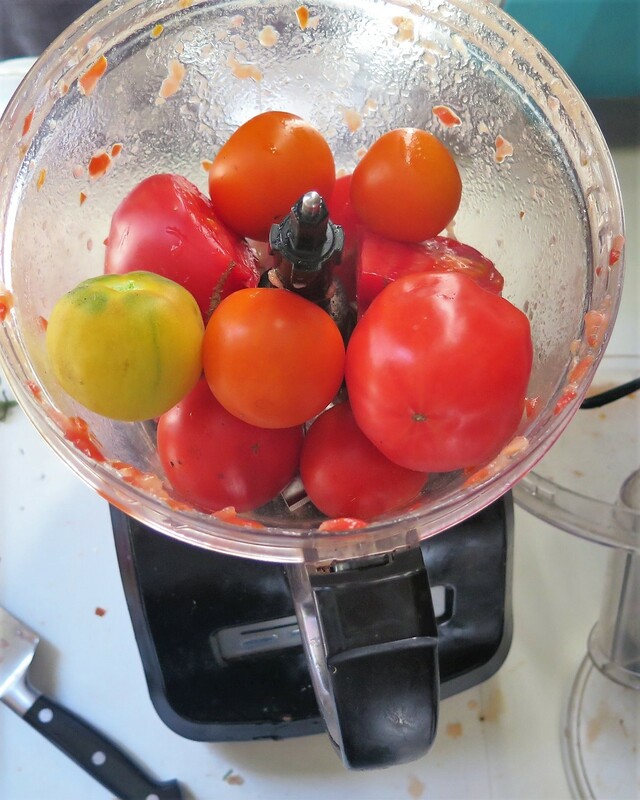 If you’re using fresh tomatoes you don’t have to cook them before putting them into the jar. You can chop or whiz them up and place them directly into the jar you’re storing them in. You can see how our friends over at Milkwood do it here. After we had bought it to the boil, we took it off the heat, let it cool down (so it was easy to handle) and filled the jars. The fowler vacola lid involves putting a thick rubber preserving ring on the glass rim, then the metal lid and finally the two clips to keep it all together. Once you’ve filled your jars, put them in a large pot. 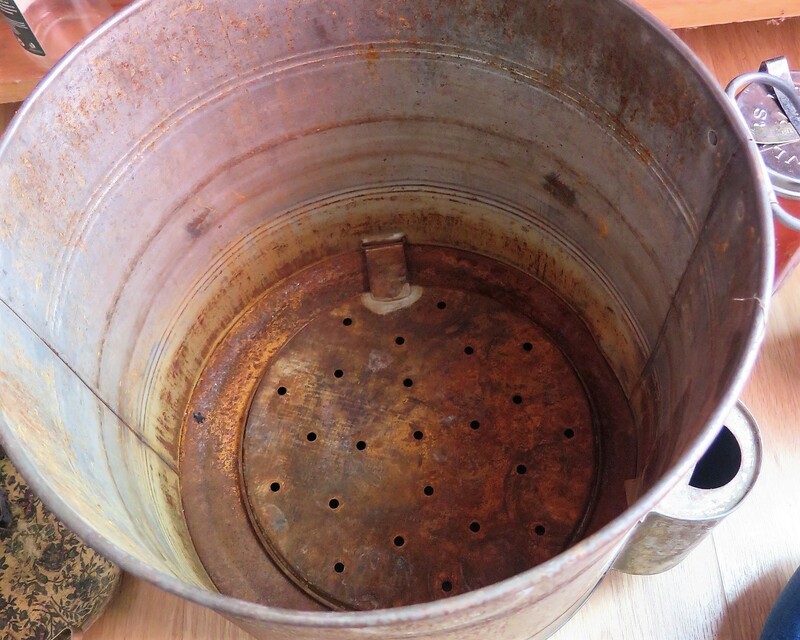 We hapen to have a fowler vacola pot (from the op shop), it has an inbuilt false floor so the glass jars aren’t directly touching the bottom of the pot. 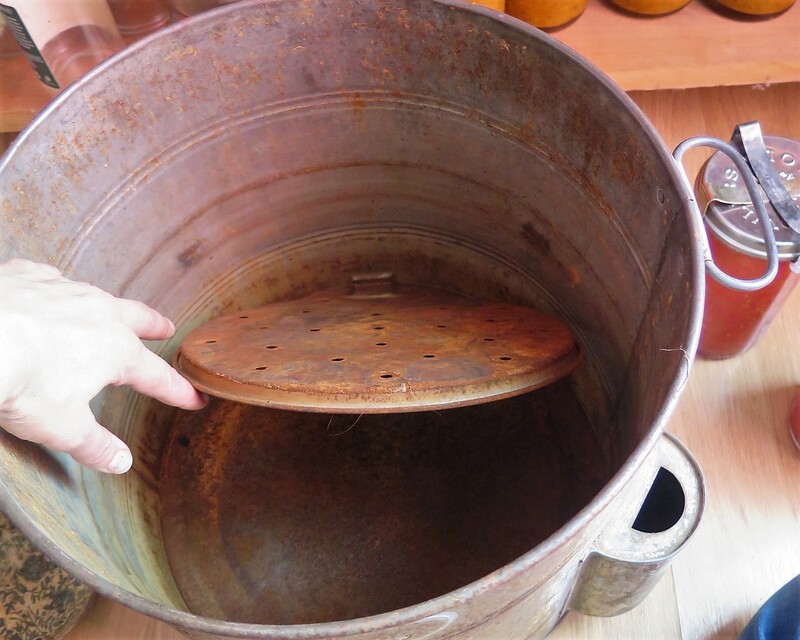 If you don’t have one, you can use any large pot – in the past I’ve put a whole bunch of cutlery on the bottom of the pot to act as a false floor and sat the jars on top of them – this works fine. Once the jars are all tucked in, fill the pot up with water to around 3/4 of the jar’s height. Then bring it to the boil on the stove. Once boiling, turn the heat down to a healthy simmer for around 40 mintues. After this you’re finished! Take them out of the pot and keep the clamps on for another 12 hours or so to make sure the heat seal has worked. Remove the clips and add them to your shelves/pantry/kitchen cupboards. Only once our pantry shelves are full do we feel like we can enter winter with our heads held high. 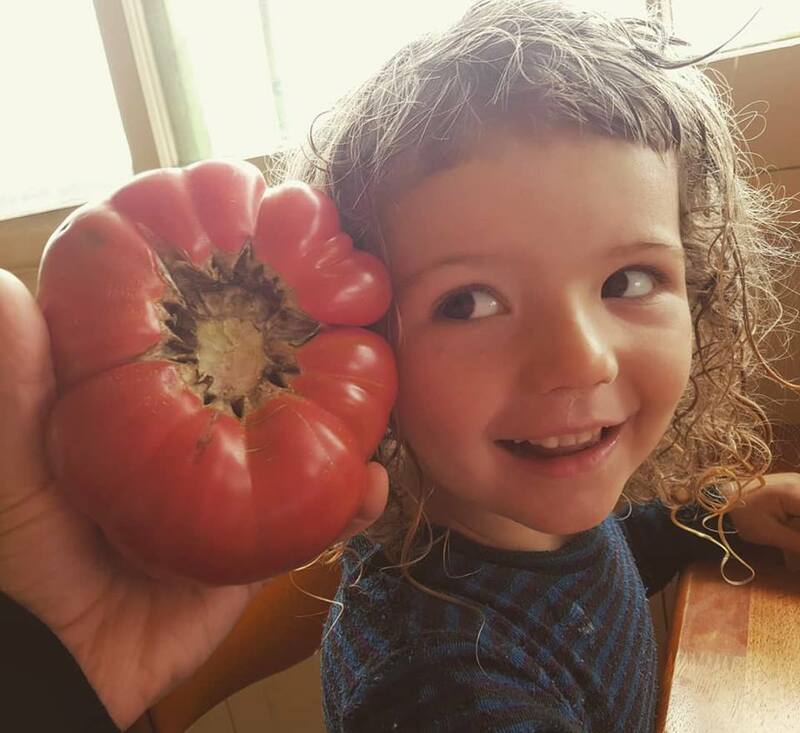 And I’ll just leave you with a photo of our daughter with one of our home grown toms (unknown variety), because – well, love. Hi there! I’m curious, do you use this same method with other jars as well? Or only the Valcola jars with rubber seals? Other people I know use this system for different tyupes of jars/bottles – there’s a link in the blog you can follow to Milkwood’s blog that show one example. And no, I don’t bother topping up the water – the evaporation over 40mts-1 hr isn’t significant enough to do so. Hi. I have for the first time tried preserving tomatoes this way too. But i used my hands to squish them and placed them into recycled sterilized jars with metal lids. Boiled them on the wood fire for an hour or so in a huge pan with water. And they have sealed. Hopefully they’ll be tasty enough. 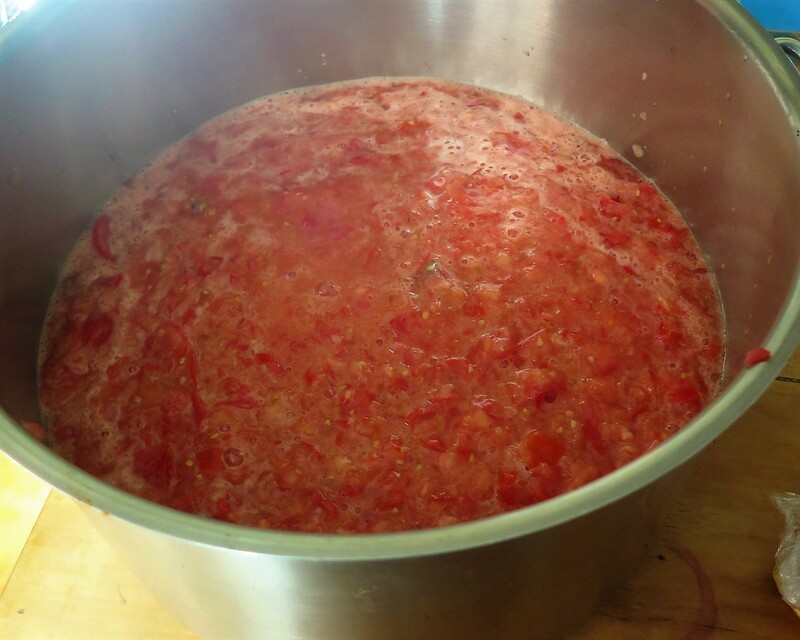 But the tomatoes have seperated from floating solids to a liquid in the bottom. Does yours separate at all? Interested. Cheers Tamsin. Hi Tamsin, Sometimes they have and it’s always when I’ve left them on the heat too long, i.e. they got too hot. While it looks a bit strange it doesn’t appear to have a negative effect on the preserving side of things. That’s our own experience at least :-). Thanks for letting us know Tamsin – sounds delicious! You seem to be using the stainless steel lids which is always a good idea for tomatoes, plus they are reusable. The rubber rings are meant to be one-use only which always hurt my frugal soul. I was taught to soak the rings in hot water and then turn them inside out as you stretch them onto the glass rim, as they are meant to be smoother on the inside. This also gives you a slight slope on the outside of the rubber ring which gives a better seal. After taking off the clip I hold it by the lid to see if the seal holds. The occasional one that hasn’t sealed is called dinner. There are special little tools that are used to open the jars to avoid bending the rims. I have 2 old Vacola sets that I have used for 50 years and they were already ancient when I picked them up from a Council roadside pickup. It is a great low energy way to store food. 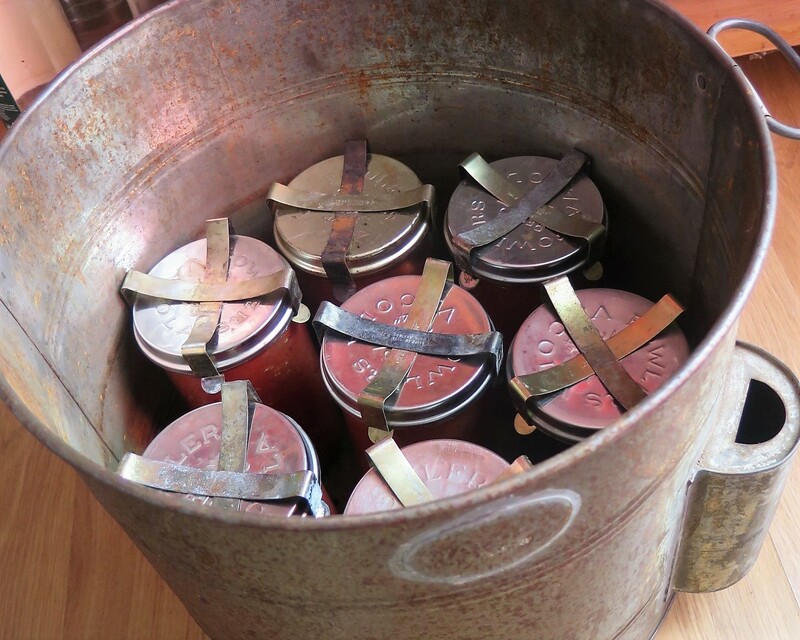 Great to read real life experience of preserving with fowlers jars. They are quite different to Mason jars etc. I grew up preserving in fowlers and learned to put the rings on the jars as someone else here has described. And to put rings on before filling the jars. That way no food gets under the ring. I can see in my mind,s eye my mother testing rings before using. Rings were reused many times. I think it’s important to have no air bubbles in the contents of the jar before processing. I think separating as described is fine. I’ve been using the FV system (great Aussie invention!) for nearly a decade to bottle our annual supply of pasatta and tomatoes. 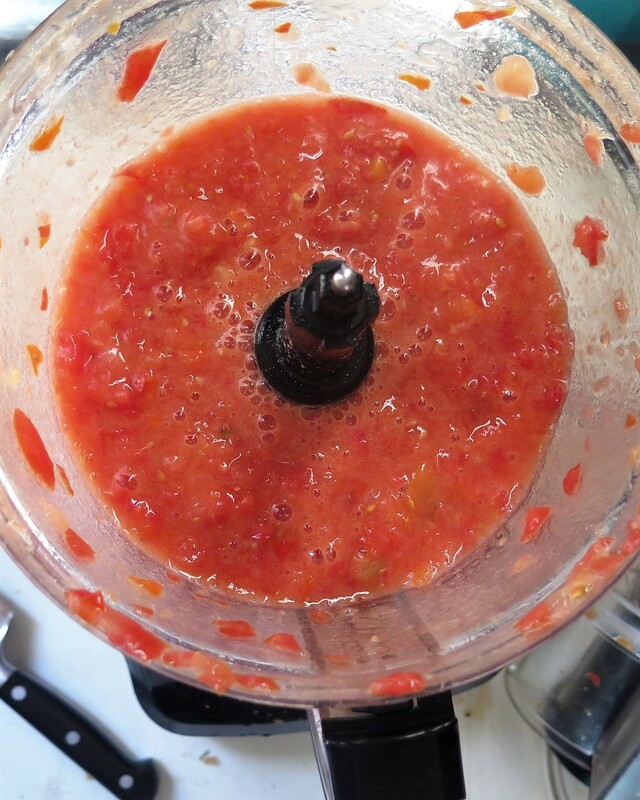 The strange consistency that you’ve mentioned is probably the puréed tomato seeds. I always blanche, remove skins, then boil to reduce the water content, before I bottle. I love the beautiful shelf full of bottled tomatoes. Thanks Mun. Without fail, I learn more tricks and info each season – I’ll add this to the list of things to take into consideration next year :-). Hi thanks for sharing this. Just a question how do you get your rubber rings on without twisting? I have placed them in warm water to soften them up but still doesn’t work. What do you do? Thank you. Hi Marie, I just use my hands and tweak them until they sit right :-). Hannah, I wonder if your tomatoes grew mould because they weren’t acidic enough? Many tomato varieties are too sweet to bottle safely, especially if they are very ripe. I add 1/4 teaspoon citric acid to the bottom of each jar (with a basil leaf for flavour!) and pour the passata in on top. One batch last year i forgot the citric acid, and it is a few of them which went off. Commiserations – it is always a terrible thing when all that hard work ends up in the compost. Happy days for the worms, though! Yes Jo – I’ve since realised this is what happened. Usually I cook them down a fair bit which makes them acidic enough. This year I was experimenting with out cooking them down (without doing adequate research obvs). Learned that lesson!